Come along for a walk with National Trust Rangers James and Neil and Mountain Guide, Malcolm. Meet from 9am for a 10am start. Coffees & teas available (pack Lunches vailable for purchase). A wet weather walk option that takes us around the valley will be available if the weather is not suitable for the high level routes on Tuesday, Wednesday & Thursday. Distance 3.3km, total ascent 399m, total descent 399m, total walking time 2 hours. Grade: Medium. Walking mainly on footpaths. Join us for a great little walk that packs a big punch. 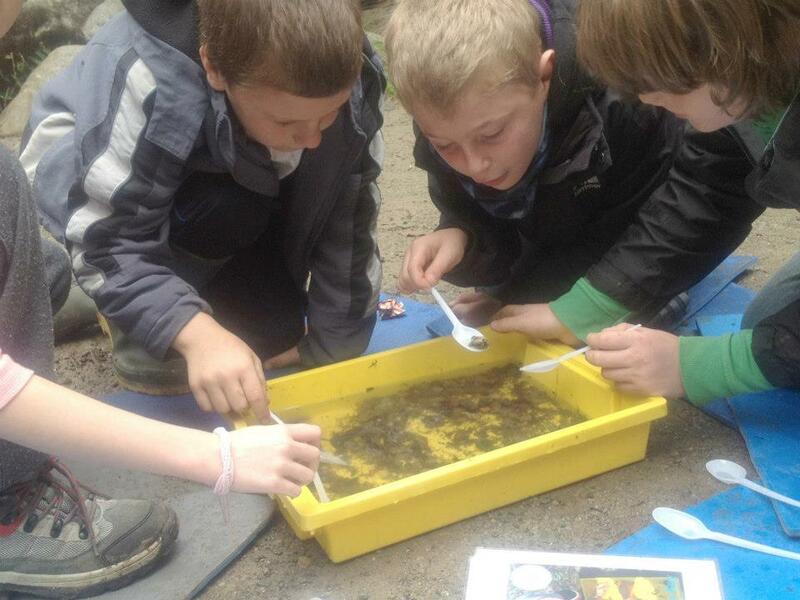 We’ll chat about Langdale’s history, geology and archaeology along the way and ranger James might even point out a few hidden gems for you to explore if you’re lucky. We will walk up alongside Stickle Ghyll to picturesque Stickle Tarn where we can view the valley far below, and the lofty pikes of Pavey Ark and Harrison Stickle above. From here we will cross Stickle Ghyll and walk around the tarn until we start our route back via Tarn Crag down to Sticklebarn for well earned refreshments. Distance 6.8km, total ascent 723m, total descent 725m, total walking time 3.5 hours. Grade: Hard. Steep walking in places but no exposure. Join us as we conquer the iconic Langdale Pikes. Following a route up to Stickle Tarn we will skirt the eastern edge of the tarn before climbing the east side of Pavey Ark. We will then visit Harrison Stickle and Pike of Stickle before crossing Loft Crag and ticking off our 4th Wainwright of the day. We descend via Pike Howe past a couple of peat houses on the way back to Sticklebarn. Distance 7.2km, total ascent 619, total descent 623m , total walking time 4 hours. Grade Hard steep walking in places but no exposure. Join us as we venture to the summit of the lonely Langdale Pike. Set apart from its neighbours Pike O’ Blisco offers arguably the best views of all the Pikes. This walk will take us up the valley of Oxendale and up to Red Tarn via the Browney Ghyll path. From here we will make for the wonderfully rocky summit of Pike O’ Blisco before descending down the path via Red Acre Gill. Stickle Tarn and Tarn Crag via Stickle Ghyll (as Monday). Distance 8km, 3hours walking time (approx) mainly level walking on Public Rights of Way (but can be wet and rough). 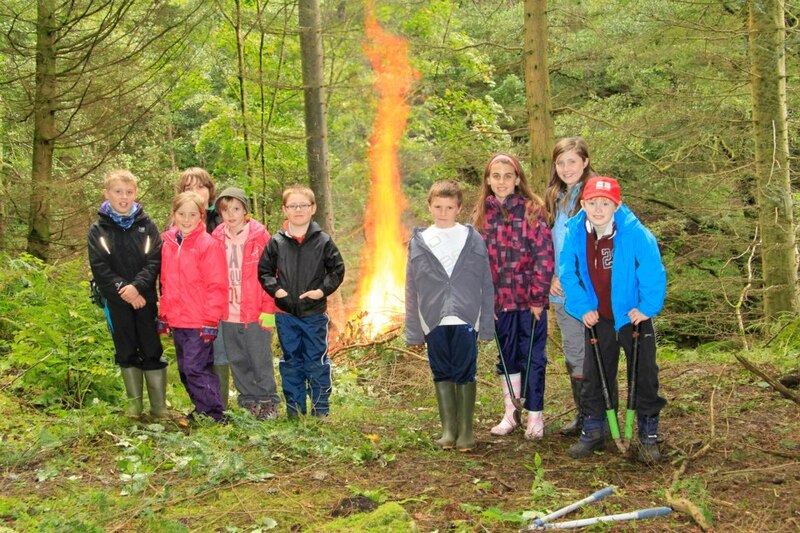 Taking in Farming, Quarries and Woodlands. Cumbria National Trust Volunteers. WHAT A DIFFERENCE A...VOLUNTEER...DAY MAKES! 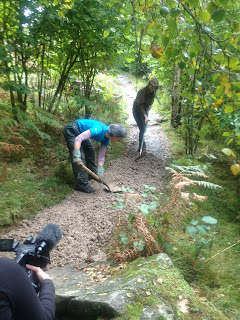 On Sunday 2nd of September The Cumbria National Trust Volunteers met the National Trust Rangers at St Catherine's in order to help with some much needed path work at Millerground; sections of this popular path along Windermere's shore requires revetment work. High lake levels and Winter storms are eroding and undercutting some stretches. A path leading down to Millergrond was also in need of resurfacing and the cutting back of encroaching vegetation. The following images show just how much the Cumbria National Trust Volunteers achieved on the day. 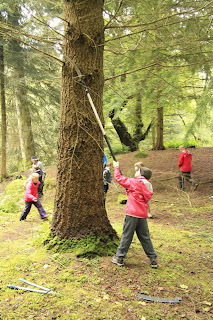 working out how to incorporate the exposed tree roots into the pitching. Not easy! The path leading down to Millerground before commencing work. Note trip hazards, and how narrow it is! The finished path. Quite a contrast to how it looked before work started. Another section of revetment work completed. A great result after a lot of hard work. 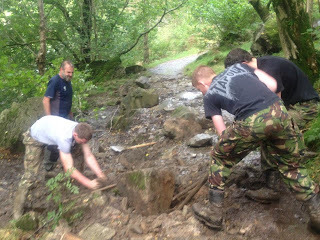 On 27 September, a mass volunteering effort around Ullswater saw 210 people from 19 organisations come together to give more than 1000 hours of their time to conservation activities in the valley in just one day. Organised by Friends of the Lake District's Flora of the Fells project, the Fell Care Day saw volunteers take part in a range of tasks. Together with our Rangers the volunteers made massive improvements around Aira Force in such a short amount of time. 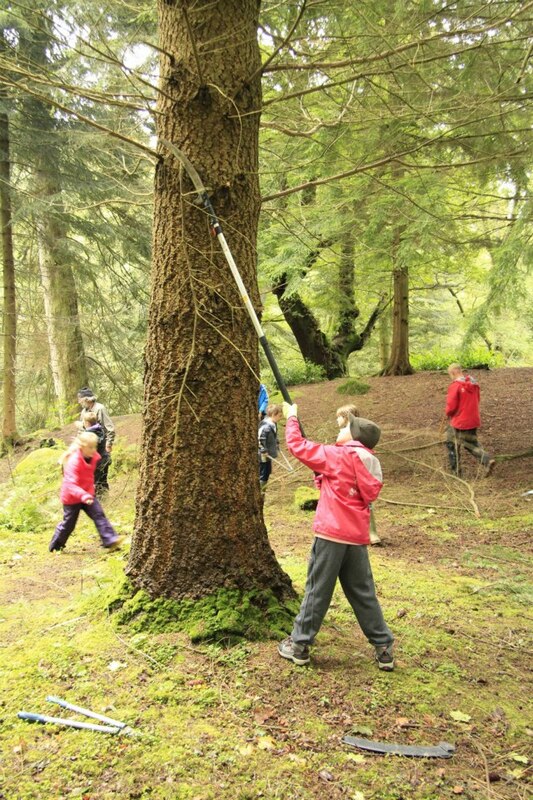 School children from Patterdale and Penruddock cut lots of scrub and low limbs amongst the trees in the arboretum, tidying it up and making way for people to explore the magnificent Conifers. They also helped to built a red squirrel hide from willow, learned about water and conservation and planted 1000 native daffodil bulbs in the Glade. They also made 30 new bird boxes and ten bat boxes to be used to encourage roosting birds and bats around the area and also put up squirrel and bird feeders which were donated to us by a local company called The Birds Bistro. Here a group of students from Newton Rigg College managed to rebuild 40yds of footpath above High Force. 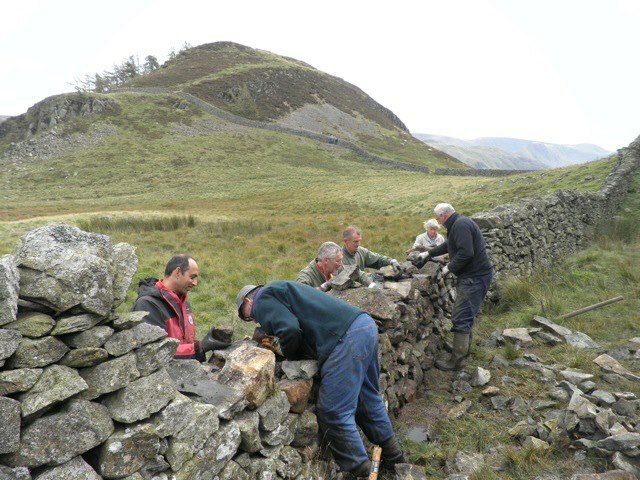 Below our farm tenant from Glencoyne "Sam Hodgson" helps a team rebuild a dry stone wall above Glencoyne wood. Overall the day was a huge success; highlighting the huge role that volunteering plays in conserving and managing the fells. More than 19 organizations took part, including volunteer groups from Friends of the Lake District, Fix the Fells, the Lake District National Park, the National Trust, Penrith and District Red Squirrel Group and visiting schoolchildren from the Ullswater Outward Bound Trust. We are now gearing up for another Fell Care Day, scheduled to take place at St Catherine's in Windermere on Thursday 25 October. Celebrate autumn with Pumpkinfest at our pub in Langdale. We’ll have pumpkin carving, ghoulish face painting, live music, fiendishly funny comedians and on Saturday 3 Nov were rounding it all off with a great big BBQ. Find the pumpkins in the garden and complete the trail to win a prize. 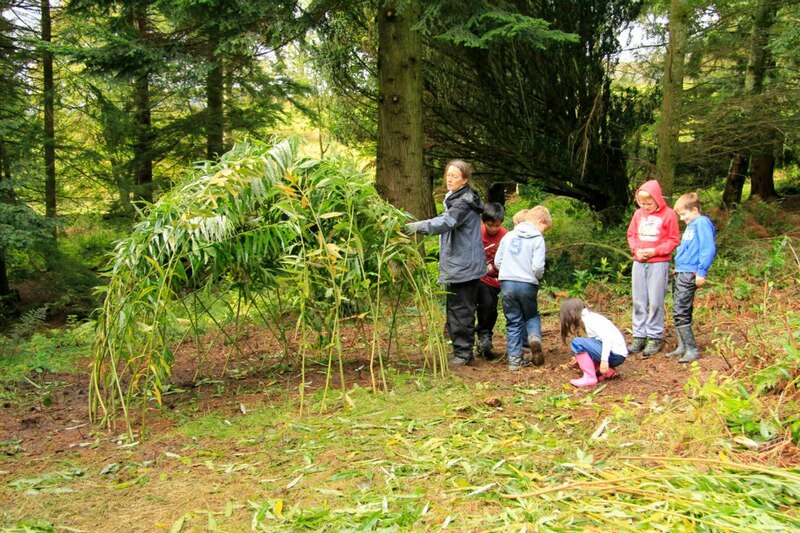 Get crafty at Allan Bank in the run up to Halloween. 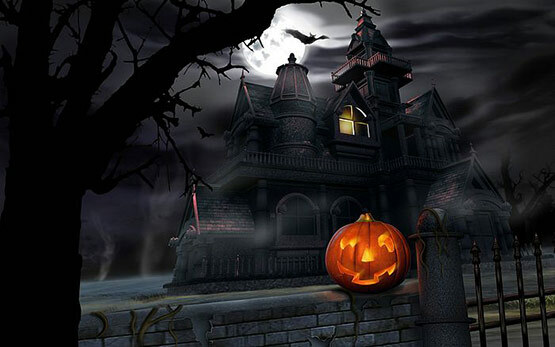 Make yourself a witch’s hat and broomstick or a horrifying Halloween mask. The Allan Bank woodland has been taken over by spooky pumpkins, venture into the woods and see how many you can find… don’t forget to check inside the spine tingling tunnel. Draw the faces as you go and spot 6 or more to win a prize.